Some emotions last longer than others. However, duration differences have only been explored for a small number of emotions and the observed differences have not been explained. The aim of the present study is to provide a detailed picture of variability in duration between emotions and to account for this variability. Participants were asked to recollect recent emotional episodes, report their duration, and answer questions regarding appraisals and regulation strategies. Out of 27 emotions, sadness lasted the longest, whereas shame, surprise, fear, disgust, boredom, being touched, irritation, and relief were the shortest emotions. One appraisal dimension and one regulation strategy accounted for almost half of the variability in duration between emotions. 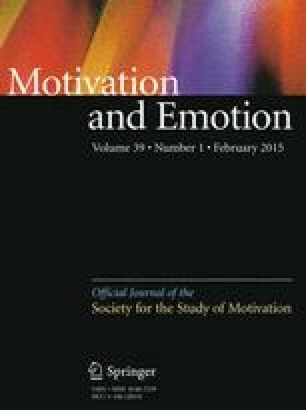 In particular, compared to short emotions, persistent emotions are typically elicited by events of high importance, and are associated with high levels of rumination. This conclusion holds across emotion duration definitions, and remains valid when taking emotion recency and intensity into account. The research leading to the results reported in this paper was supported in part by the Research Fund of KU Leuven (GOA/15/003), by the Interuniversity Attraction Poles programme financed by the Belgian government (IAP/P7/06), and by a postdoctoral research fellowship to the first author from the Fund for Scientific Research-Flanders (FWO).